Knee injury and anterior cruciate ligament (ACL) injury are particularly common among young athletes. As children are heading back to school, parents as well as coaches should be aware that high school athletes are the population the most at risk of suffering ACL injury. Recent studies show that the number of ACL injuries in young athletes has been increasing annually by an average 2.3% over the last 20 years. 16 year old female athletes practicing Basketball, Soccer and Lacrosse have the highest risk of suffering ACL tears followed by 17 year old male athletes practicing Football, Lacross and Soccer. 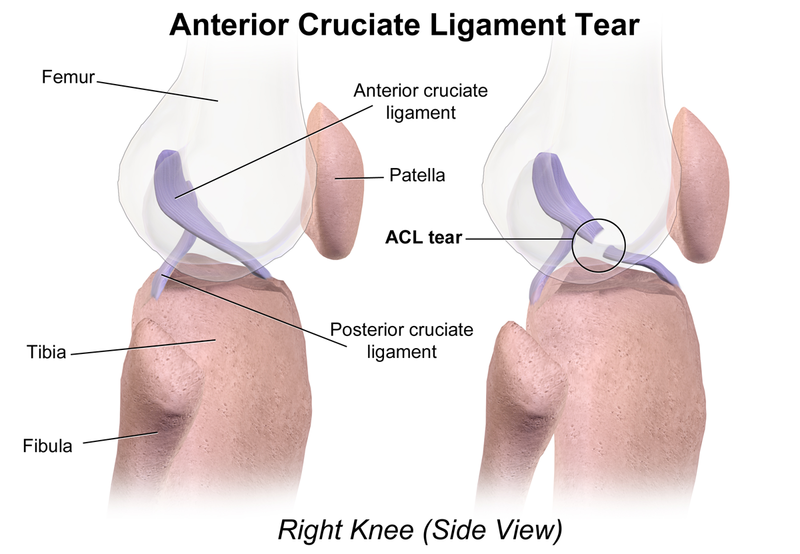 ACL injury often requires reconstructive surgery and the recovery takes months. As young athletes are heading back to school and are getting ready to participate in various sports activity, parents should check with the school or with the coaches if an injury prevention program is included in preseason or season training. According to recent studies these types of programs have proven to be effective in reducing the number of ACL injuries. They usually include plyometric (such as jump training) and balance exercises on top of the traditional strengthening and stretching sessions. For example during such injury prevention programs young athletes are taught how to properly jump and land in positions that reduce the strain on the knee. To prevent re-injury, ACL Injury Prevention programs should also be incorporated in return-to-sport training after an ACL reconstruction. According to statistics, young athletes who suffered ACL tears have a 91% rate of return to sport however 32% of them will suffer re-injury. Additionally sufficient recovery time is crucial as athletes who return too fast to sport have a high risk of re-injuring themselves. ACL injuries are a real burden for young athletes, their parents, their schools and the medical system in general. Outreach, education and injury prevention programs have proven to be effective in preventing this dreaded injury. Parents of young athletes should make sure their children are getting proper education and training related to that matter.